Whether you crave fiction or memoir, something to read or watch, the library has a variety of enjoyable delights to checkout. 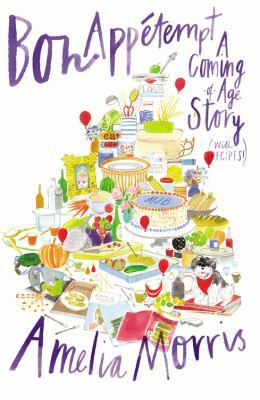 Fans of Amelia Morris’s blog and budding home cooks and writers will enjoy her memoir Bon Appétempt. Morris is an aspiring writer, who spent her teen years and early twenties dieting and seeing food as not a comfort, but as calories to count; this makes her seem unlikely to have a popular food blog. However, she is inspired one day to throw a dinner party for friends and after a beautifully impeccable layer cake featured in Bon Appetit she recreates fails to live up to its promised perfection and must be served in a bowl, she is inspired to create a blog that juxtaposes the food styled version of recipes from magazines and cookbooks with her own more humble attempts. She dubbed her blog with the pun Bon Appétempt. Her memoir by the same name, however, starts well before the blog’s creation in her childhood detailing her experience growing up with divorced parents and eventually falling in love with her best friend from high school. Morris’s life often seems to be similar to the food in her blog, not quite reaching the perfection she had hoped for. Yet as my French grandmother would often say about a lopsided cake or fallen soufflé, “You can’t eat the looks” and sometimes the moments that are not as expected are the sweetest and most nourishing in the long run. Morris learns to embrace her life, imperfections and all and along the way finds joy and success in food writing. Bon Appétempt includes recipes, many of them reinterpretations of not just dishes from cookbooks, but also from family and friends on which Morris puts her own distinctive twist. 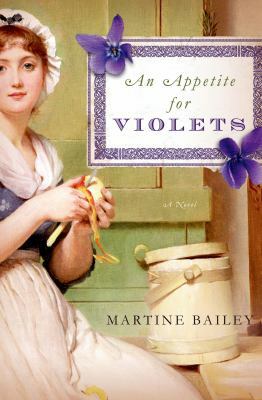 For fans of Downton Abbey, there is Martine Bailey’s An Appetite for Violets to sample. I was intrigued by the title since I’m a fan of the flavor of violets (violet ice cream is delicious), but it is something unusual to find now a days, especially in the US. In Bailey’s novel, violets become symbolic of more than a taste, but also a desire for a life that leads to the downfall of some of the characters. 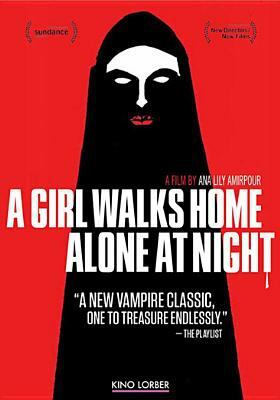 An Appetite for Violets has elements of mystery and romance. It focuses mainly on a servant at Mawton Hall, Biddy Leigh, who though she was about to get engaged, instead is swept along on her new mistress Carrina’s journey to Italy. A few chapters also focus on another servant Loveday, who is seen in flashbacks of his time in his village before he became a slave. I felt this at times distracted a bit from the main story, but his friendship with Biddy was a sweet spot in a novel that contains a great deal of scheming and social maneuvering. We learn in the very first chapter that Carrina has died under mysterious circumstances, which adds a level of suspense in the chapters that unfold after that flash back to a year before. Most chapters begin with historic recipes that though less detailed than our modern ones are charming in their language such as a recipe for Taffety Tart where we are told that it should be filled, “with pippins and quinces and sweet spice and lemon peel as much as delights.” An Appetite for Violets should surely delight readers of historical fiction. 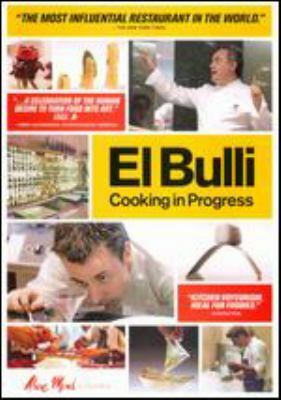 If you are curious about molecular gastronomy, the documentary El Bulli will be riveting. I was fascinated by this Spanish documentary of famed molecular gastronomy chef Ferrarn Adria as he works with his team for the six months before the yearly opening of his world renowned restaurant. The process moves from the chefs’ ideas and playing with different techniques effects on a variety of ingredients to the final scenes of that year’s finished menu. The year the documentary was produced they were working on a water theme and one dish actually uses small chunks of ice to add texture and a unique sensory experience to a dish. So many cooking shows involve challengers tasked with throwing together ingredients on a time limit so it felt like a unique perspective seeing how actual restaurant dishes evolve over time under the masterful taste buds of expert chefs. Adria has since closed El Bulli, but the documentary remains to be savored. 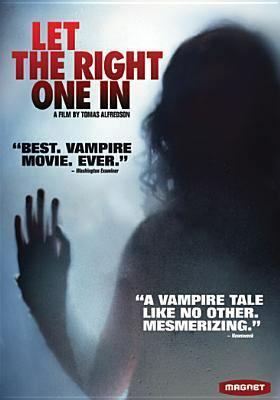 Hoboken Public Library Resident Card holders and other resident BCCLS library Card holders can access the documentary online from Hoopla or on DVD. Ferran: The Inside Story of El Bulli and the Man Who Reinvented Food by Colman Andrews is also available for those looking for more insight into the legendary chef and restaurant. Those looking for a comic animated series will enjoy a visit with Antique Bakery. When I saw that the anime (Japanese animation) for Antique Bakery was available on Hoopla (as well as on DVD), I was curious to check it out since the Hoboken Library also has some of the volumes of the Manga (Japanese graphic novels) that the series is based on in our collection. Like many animes, Antique Bakery is intended for an adult audience. The series centers on Keiichiro Tachibana who is compelled by a childhood trauma to open a Western style bakery, even though he doesn’t like to eat sweets. He hires a motley crew to work at the bakery including a former boxer with a sweet tooth. 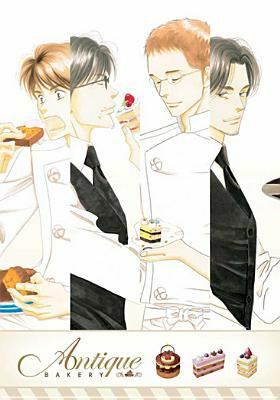 Pastry chef Yusuke Ono can attract any man he wants, except Tachibana who is immune to Ono’s charms. 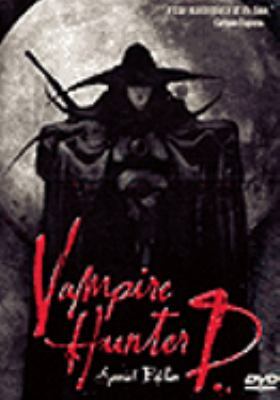 The animation is unique with both two dimensional and three dimensional animation used. I especially liked the clever intro with the drawings of the characters surrounded by what looks like a real model of the bakery. Despite only being drawings, you’ll wish that you could taste the fanciful European style pastries the bakers create. 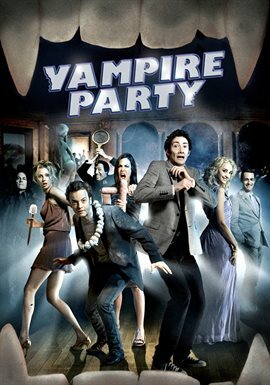 I found this series to be delightful fun, though it does at times touch on some serious issues such as domestic violence. At only 12 episodes it is not an overly large commitment for binge watching (and less calories than snacking on actual sweets).